Our offices demand accountability from those responsible for the catastrophic injury and will fight to bring them to justice. We have successfully represented hundreds of people injured in automobile accidents and traffic collisions. Our experience spans over 25 years exclusively in plaintiffs personal injury and wrongful death litigation. The law Offices of Gary A. Kessler is a boutique law firm practice exclusively devoted to plaintiff’s personal injury and wrongful death litigation. 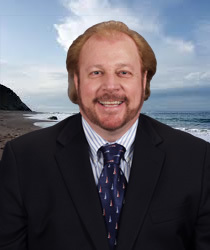 For over 25 years Gary A Kessler has specialized in personal injury and wrongful death claims. The firm limits its practice to the representation of plaintiffs who have suffered catastrophic injuries resulting from boating accidents, vehicular accidents, defective products, dangerous roads, construction accidents, dangerous premises accidents, explosions, fires, child abuse, insurance bad faith and consumer fraud. The firm has a proven track record of achieving high awards in catastrophic injury cases, especially traumatic brain injury, spinal injury and wrongful death cases. WHY CHOOSE THE LAW OFFICES OF GARY A. KESSLER? Our experience spans over 25 years exclusively in plaintiffs personal injury and wrongful death litigation. Our philosophy is to provide the best results for our clients as expeditiously and cost-effectively as possible in complex personal injury and wrongful death cases in California, and across the United States. We only represent the victims and always fight for the underdog who needs someone in his or her corner to go up against the major corporations, public entities and insurance companies who would otherwise rollover those less powerful or influential. We represent individuals who have been seriously injured by corporations who market dangerously defective products and who value profits more than consumer safety. Gary A Kessler’s courtroom skills and negotiating savvy have earned him the respect of his opponents and positive outcomes for his clients. If you feel you have a case please contact us through our web forms or simply give us a call. At the Law Offices of Gary A Kessler, the attorney consultation is always free and we will be glad to personally answer any questions you have regarding your case with straightforward, honest answers. There is no charge to evaluate your case to help you decide if you have a case or whether you need a lawyer. You will receive the direct and personal attention from Gary A Kessler to represent you throughout your litigation and achieve a successful result. We have locations in Newport Beach (Southern California) and the San Francisco Bay Area. You will receive the direct and personal attention of Gary A Kessler to represent you throughout your litigation and to achieve a successful result.